The New Orleans coast guard has a long list of responsibilities under its jurisdiction, but despite the packed schedule, members of the station are never too busy to help an animal in need. Such was the case on October 30, when the coast guard’s dispatch received a call from a concerned boater. 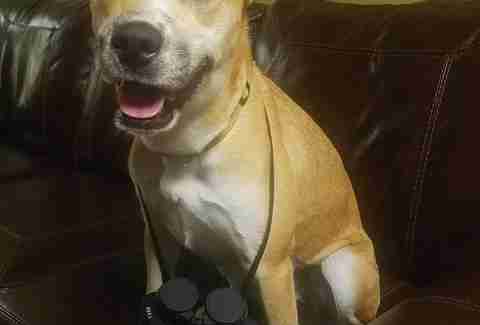 He had spotted an older dog treading water about a half-mile offshore in Lake Pontchartrain, according to Petty Officer Adam Rice. Luckily, a coast guard boat crew was already close by, preparing to run a training exercise. With calm waters and pleasant weather, the dog was easily spotted. 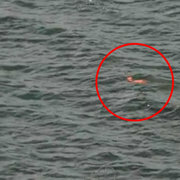 Members of the team scooped the exhausted dog into the boat, wrapped him in a blanket and headed for shore. The black Lab mix “looked a little ratty,” Rice told The Dodo. 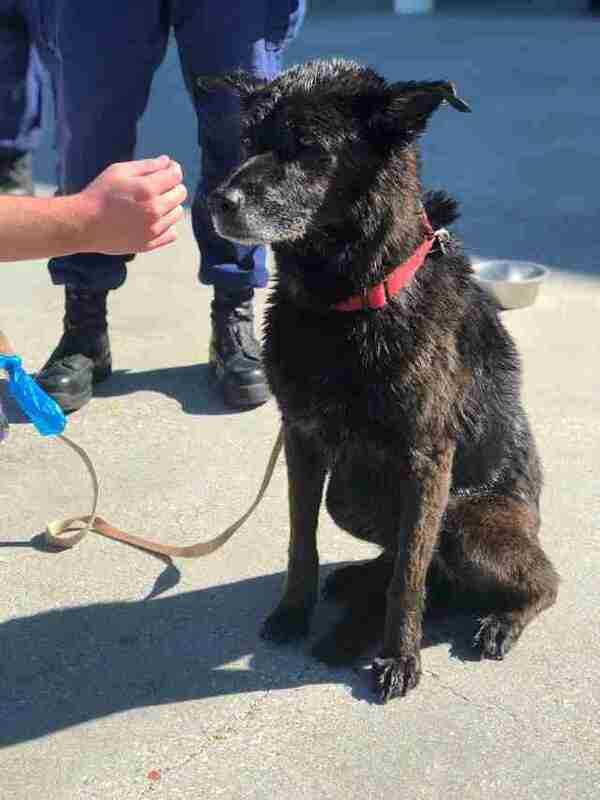 With only a red collar, but no tag to identify him, rescuers were unsure how the dog wound up stranded in the lake all by himself. Back at the station, the dog appeared calm and friendly, Rice noted. 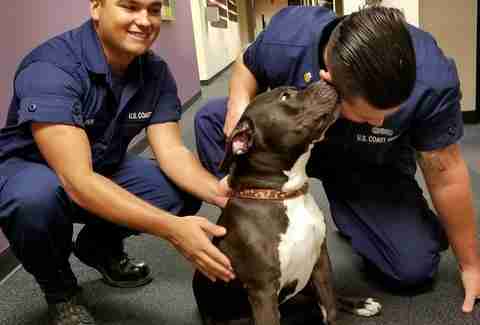 "He was shaking and very scared at first, but now he is back at the station all warmed up and we gave him some snacks and water," the U.S. Coast Guard Station New Orleans wrote in a Facebook post. "We are always ready to respond!" In hopes of finding the lost dog’s owner, employees with the Jefferson Parish East Bank Animal Shelter picked up the pup and scanned for a microchip — which proved successful. 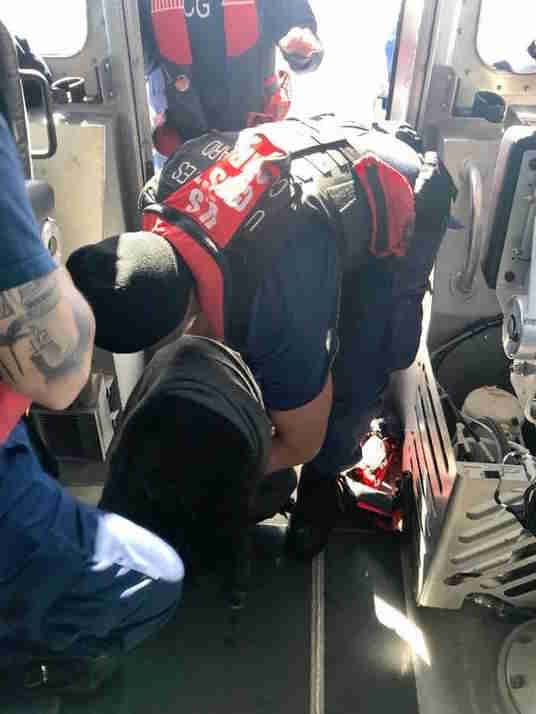 While this was the first time the coast guard team rescued a dog from Lake Pontchartrain, helping canines in need is their specialty. Regular volunteers at the local animal shelter, members of the coast guard have since been inspired to start a foster program in conjunction with SPCA New Orleans. While not necessarily water-related, it’s all part of serving the community and doing what they can for the city, Thomas noted. The dogs keep morale high, and get plenty of love and treats in return. For many dogs, the station, which is manned 24 hours a day, is their first taste of a loving home. 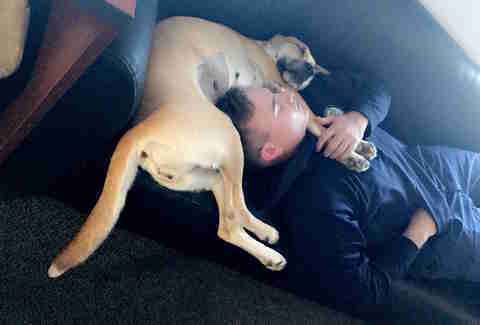 “The dog can’t go through a room without 15 different people loving on them, so it’s easy to see how much they are loved and how they make everyone truly happy,” Thomas added. The rescues under the care and training of the coast guard have gone on to be loyal family pets and even service dogs. 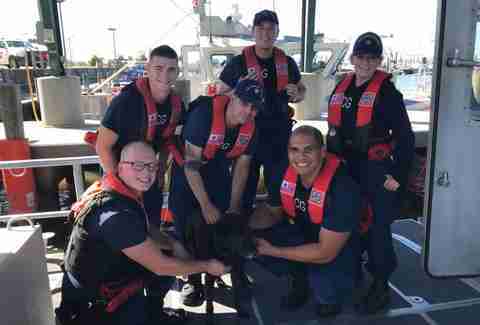 Bonds form quickly with the dogs, and the coast guard keeps in touch with all their graduates. Hopes are high for the adoption of their 10th dog, Baylie, a hound mix with striking blue eyes who loves snuggles and belly rubs, Thomas added. 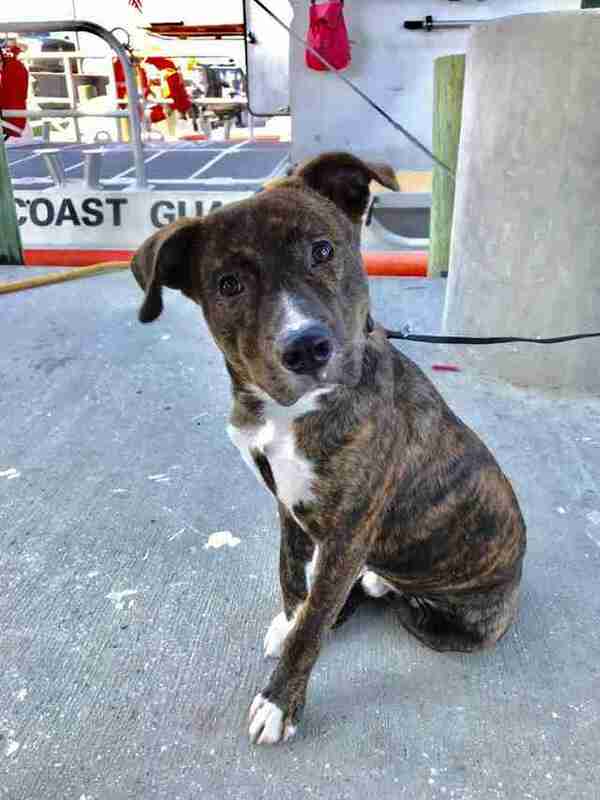 Follow the NOLA Coast Guard on Facebook to stay up-to-date on dogs available for adoption.